It was the biggest celebration of the day — fist pumping into the stadium then reaching to the sky in jubilation while arcing a giant loop, the din of cheering Aspen fans echoing off the snow-covered mountain peaks. No, it wasn’t first-run leading Mikaela Shiffrin or even Austria’s Nicole Hosp, who powered from seventh in the first run to take the Nature Valley Aspen Winternational victory. It was fan-favorite Resi Stiegler, captivating the home-nation crowd with yet another strong slalom finish. For those who don’t know Resi, you’re in for a treat. The daughter of 1964 Olympic slalom champion Pepi Stiegler of Austria, Resi grew up between Jackson Hole and her father’s native Lienz, Austria. She made the U.S. Ski Team as a teen, and won two medals at Junior Worlds in 2003. 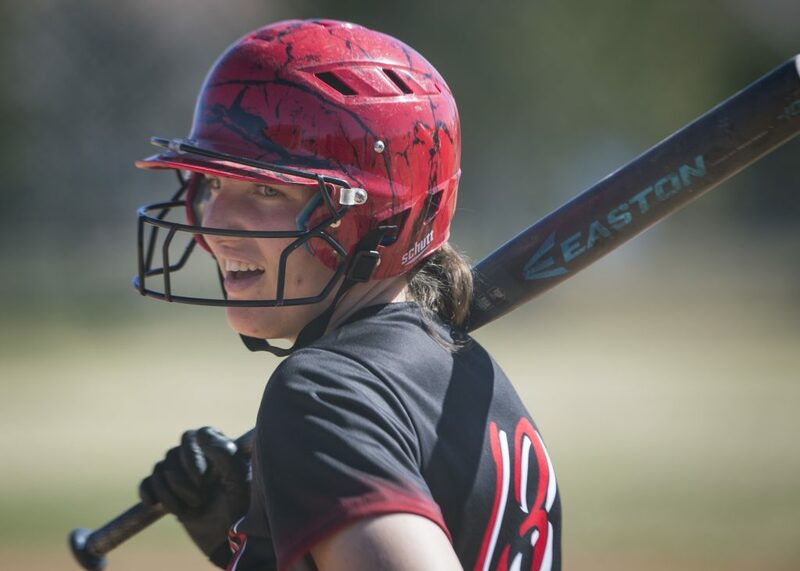 Her career has been a patchwork quilt, mixing flashes of success with a never-ending cascade of injuries that always seemed to punctuate the glory. Still, she kept pushing. She’s a journeyman ski racer who simply never gives up. Despite not making the 2014-15 U.S. Ski Team, she’s still racing and feeling even more proud of back-to-back strong showings in Levi and Aspen in November. "It has taken a lot of hard work and patience," she said. "I know I am good. There was a lot to change in my skiing. I wanted to get better but it wasn’t happening fast enough. I didn’t have the results I wanted before the Olympics. Of course, it clicked in right after and I was on a roll. I just tried to carry that into this season." The Olympics were a disappointment for her. But she went on a tear the next six weeks, with a top-15 World Cup in Sweden, back-to-back NorAm Cup slalom wins in Canada, a silver at U.S. Championships and three straight FIS Race victories to close the year. After a top-20 to open in Levi, to put on a little show at home was special. "It’s always so amazing to be able to race in America. To be back in Aspen again feels so good," she said. "I love the crowd. I could hear them at the start and it really made me want to make them proud." That, she did. In front of a live national NBC audience, she combined two strong slalom runs, enjoying a few minutes in the leader’s box, before ending up 11th. Resi’s trademark is her effervescent smile and carefree attitude. As a fan, it rubs off on you. It’s what skiing is all about. "I just love to race – bottom line," she said. "I wouldn’t have put myself through all of this if I didn’t love it so much." When you ask Resi how her fans can help, she doesn’t ask them for a check (yes, she’ll take one). For her, it’s more about skiing — one of those rare Olympic sports where the fans truly participate. It’s a lifelong activity. So skiers get it. "Fans love you no matter what," she laughed. "I think my fans, in particular, love me a lot and I love them. I show them what I’m really like. They appreciate my story — where I’ve come from and how my journey has been." It’s been quite an adventure. 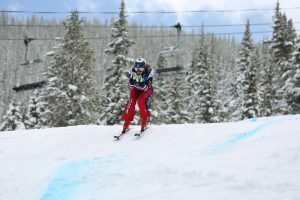 And if the enthusiasm and energy in the Aspen race stadium is any indication, Resi Stiegler still has a few tricks up her sleeves as a gritty ski racer who brings energy and life to ski racing. But slalom is a risky business. For 60 gates on a steep icy pitch, each turn holds the possibility of changing your career. But that’s the drug that great slalom racers crave. "I want to get back into the top five," says the 29-year-old veteran. "I want to be back on the Team. I want to improve and be as fast as I know I am. I’ve worked hard and know I can do it. "I love to inspire people. I love the energy. It’s such a special sport to me. And I love it so much."